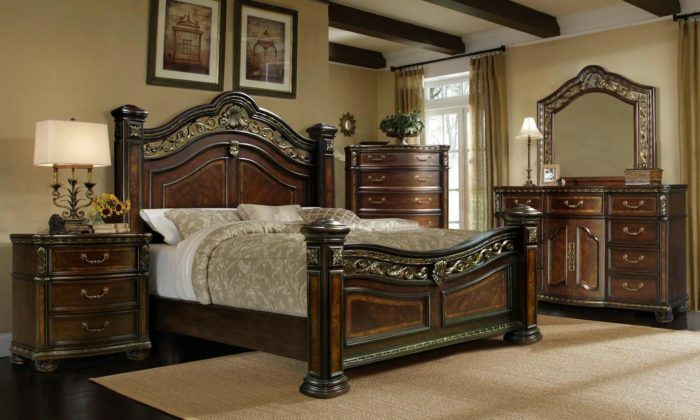 The McFerran B366 Bedroom Set is filled with lush hardwoods, wood veneers, and real wrought iron metal. 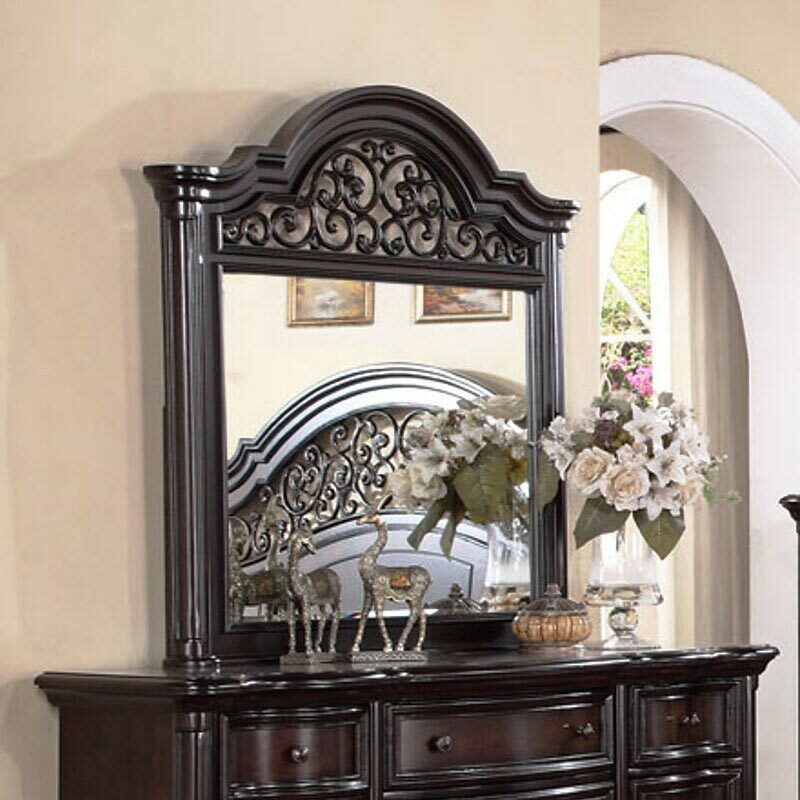 This elegant centerpiece for your master beautiful bedroom is highlighted by the whimsical wrought iron scrollwork design that dons the headboard, footboard, mirror, and nightstand. 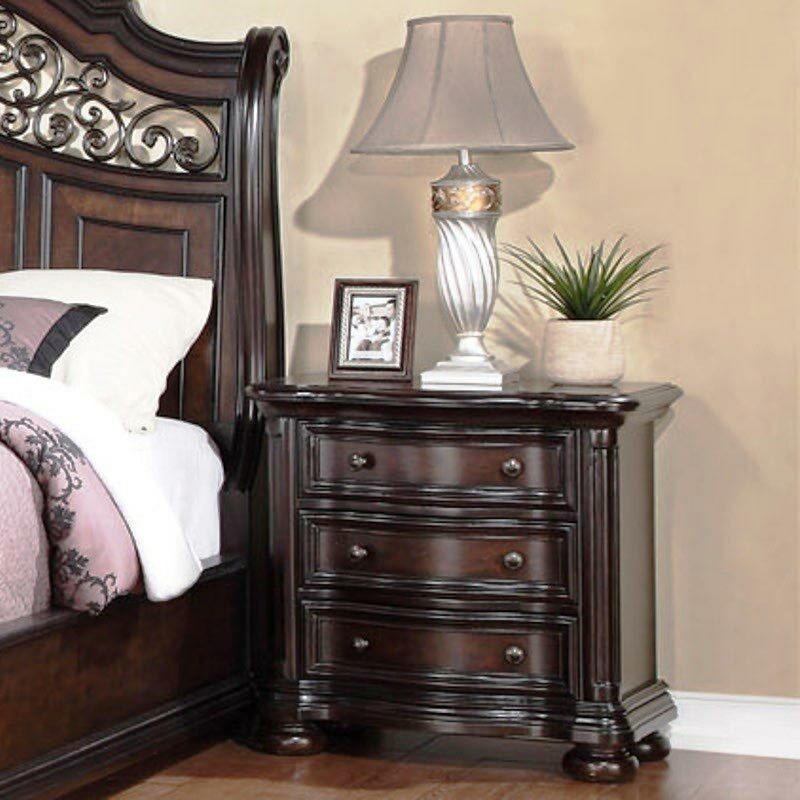 The metal has a sleek black finish while the selectively chosen woods used to build the frames have a two-tone brown finish which is delicious. The case goods have dovetail designed drawer fronts and a rich espresso finish creating a sumptuous look and feel. The felt-lined top drawers in all the case pieces make it easy to store your most precious valuables safely. The bottom drawers of the case goods are made with cedar wood for an added splash of sophistication. 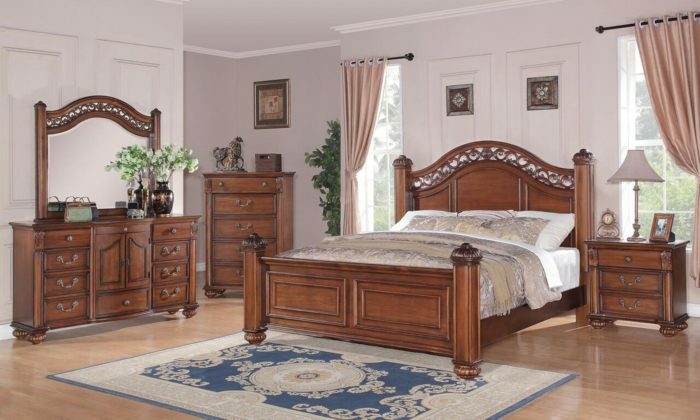 The feet keeping all the pieces sturdy are smooth, with an elaborate round bun feet design. 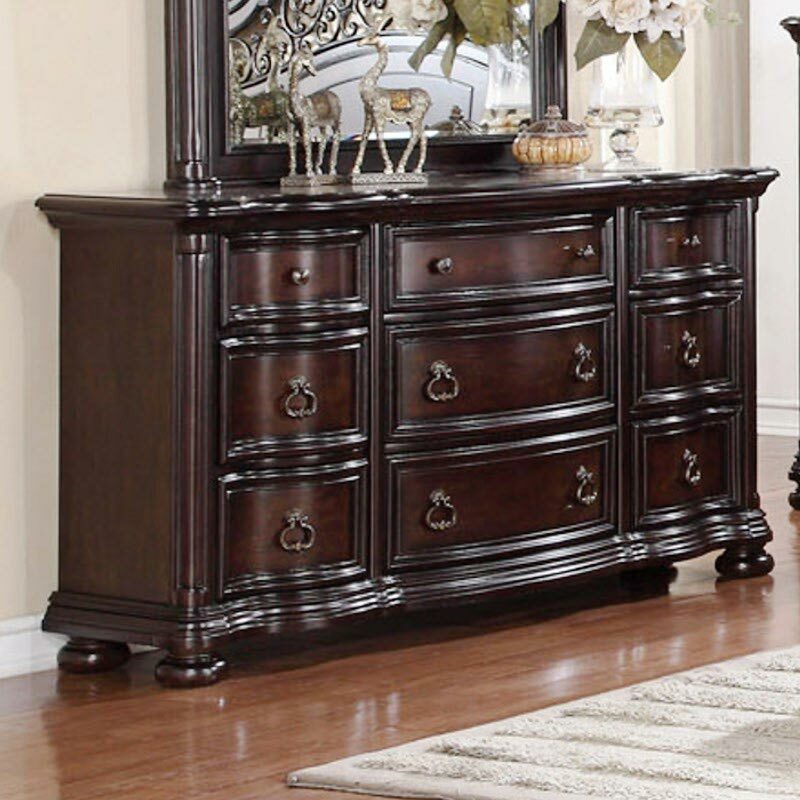 Thick wood tops of the other case pieces adds to its durability, appeal and beauty.